Commercial Real Estate Laws in Massachusetts - Nicosia & Associates, P.C. Massachusetts has shown itself to be one of the more promising states in terms of economic progress. In 2016, Massachusetts had a per capita personal income (PCPI) of $65,137. Its rank was 15th in the nation At least 13 Fortune 500 companies are based in the state. The state has the sixth largest number of millionaires. Among its top money-making sectors are higher education, biotechnology, healthcare, and electronics. Unemployment rate as of December 2016 was about 2.8% which is below the national level. With such statistics, the state seems like one of the most viable places to do business or engage in the selling or renting of commercial real estate. With many businesses setting up shop there, real estate brokers and agents can have a field day. Whether you are the business owner who wants to buy or lease commercial property in Massachusetts, or the party involved in scouting out commercial real property for rent or sale, you need to be well aware of the most important Massachusetts laws governing commercial real estate transactions. A real estate broker in Massachusetts is responsible for supervising the real estate brokerage business itself. He has the power to negotiate any transaction involving and resulting in the purchase or renting of a real estate property. He must have had at least three years’ experience as a licensed salesman or agent affiliated with a licensed broker, must have completed 40 hours of pre-licensure training, and pass the broker examination. He should be bondable for $5,000 with the Massachusetts Board of Registration of Real Estate Brokers and Salespersons. A real estate agent or salesman on the other hand must be supervised and monitored by a licensed broker. The agent can only negotiate with would-be buyers, sellers, or renters but the finalizing of the transaction is subject to the approval and execution of agreement by the broker. He must be at least 18 years old must have been licensed with the Board. Brokers are involved mainly in initial and final stages of the real estate transaction (purchase or leasing), such as determination of a listing price, preparation of advertising materials, preparation of term sheets, negotiations, final closing and payment. In a commercial real estate transaction, attorneys are usually involved during the term sheet, negotiation, and contract completion stages of the whole process. The attorney is not allowed to act as a broker and counsel without full disclosure and a waiver signed by the client. He may not receive a commission for the transaction. Listing refers to the amount of control over the pricing, advertisement, and actual client interaction of a broker or his agent. There are exclusive and non-exclusive brokerage agreements between the broker and the seller or lessor of the commercial property. The different types of listings are the following. Open listing. This can be given to several brokers who have the right show the property and earn commissions when the deal is closed. But this type of listing is not popular in Massachusetts because of the lack of efficiency in marketing the property. Exclusive agency listing. Only one broker lists and advertises the property, but other brokers can show the property. If the property gets sold or rented, the commission is earned by the broker who had found the client. Exclusive right to sell or lease listing. The broker receives a commission regardless of who finds the prospective buyer or tenant. Multiple listing. This is available only for residential properties. 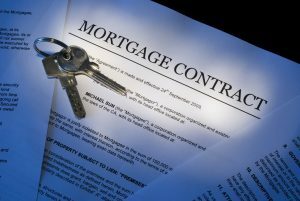 In Massachusetts, a broker earns commissions when he finds a buyer who is amenable to the terms of the seller, and if the buyer has entered into a binding contract with the owner. If the buyer defaults on the contract due to financial or other reasons, the broker cannot earn a commission. If a sale could not be completed due to municipal refusal, the broker will not be entitled to a commission. But if the contract was not completed due to the fault of the seller, the broker is still entitled to a commission. The seller is liable for paying the commission in a sales transaction. In a commercial leasing transaction, the landlord or lessor pays the commission. The state does not provide for liens against commercial real properties where brokers haven’t been paid commissions. Instead, the broker should take action to sue the seller or landlord for breach of contract on his commission. Real estate lawyers in Massachusetts are required during the term sheet, negotiation, and closing of a sales or rental transaction. They are to check whether all the terms of the offer have been fulfilled by both parties, as well as check all other documentary requirements. Whether you are a commercial real estate broker or client, it is best for you to consult and hire a qualified Massachusetts real estate attorney who is well-versed in real estate laws of the state, to ensure a properly executed transaction and protect yourself from real estate fraud or other possible problems.